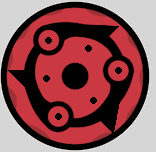 Kyuuten-Finaru: Heavens Finale (Mangekyou); Sends black lightning from around the user to the opponent. This lightning utilizes "dry lightning" meaning that the conditions can just be humid. The technique use's alot of chakra, but will 98% of the time, hit its target. This technique can cut through any object, and most will experience paralyzes. The eqivilant of amaterasu, only in lightning form. A medical ninjutsu that can be used to heal as well as attack the internal organs. Aya’s precise chakra control allows her to heal severe wounds that regular medical nin cannot. A technique that focuses chakra into the hands to form a blade of energy. It possibly was a skill used primarily for medical treatment (ie. surgery), but when combined with hand-to-hand skills, it becomes a dangerous weapon. The blade is capable of severing internal blood vessels and muscles during battle without breaking the skin. A fatal hit can be attained by attacking the heart or neck when used Offensively. | Chakra- 50 | Damage- 20 | In addition to dealing hit point damage, you may heal or reduce one stat point from strength, agility, accuracy or endurance. | Chuunin | Only Jounin may use in battle. Effect lasts for three posts. Upon physical contact the user can send chakra to the surrounding muscles, causing them to spasm and cramp. This makes moving that muscle difficult and painful, but causes no lasting damage. | Chakra- 15 | Reduces Agility, Strength or Accuracy by 1 | Chuunin | The stat is restored in five posts. While the healing hand technique is the choice of most medical ninja, sometimes the patient simply can't be gotten to in time to be healed. In those instances, this technique is used to heal them from afar. This jutsu focuses chakra into the hands of the user and then projects it towards the patient. While this jutsu is just as efficient at healing as the healing hands technique, this jutsu does cost considerably more chakra. | Chakra- 40(Inc4) | Healed Damage 40(Inc4) | ANBU | Must know the Healing Hand Technique. This jutsu uses chakra to break down the chakra and nervous system temporarily. The breakdown renders the muscles around the area touched unable to move for a short amount of time. | Chakra- 50 | ANBU | Effect lasts 3 posts. The user implants some of his or her chakra into the patient. The chakra then sits within the patient's body and flows through his chakra circulatory system. The chakra is healing in nature, and adapts to the patient's body to best heal him or her. The chakra can be activated with a mere thought on the part of the user, but it will also trigger if the patient is severely injured. A common tactic is actually to use this jutsu on someone before they are harmed, after which the chakra is used to instantly heal the patient. | Chakra- 30(Inc3) | Healed Damage- 50(Inc3) | Jounin | The chakra dissipates after five posts if not used. The chakra can not be used to heal in the same post it's implanted. The user breaks apart his own body on the cellular level and appears to melt into the "host", inevitably disappearing completely within the his or her body. The entire experience is slow and violent, making it impractical to use on anyone but an ally and outside the heat of battle. The user is capable of extending any of his limbs out of the host's chest, stomach, or back. The user can even perform jutsu while inside the host, though he must extend out his hands to perform the hand seals to do so. The host acts as a shield, protecting the user from harm. The only way to attack the user while this jutsu is active is to strike any of the user's limbs that are protruding from the host's body. The host is capable of expunging the user by expelling a large amount of chakra. This jutsu is commonly used on bodies that have been animated by the Dead Soul Skill. | Chakra- 50 (Every Post) | Advanced Jounin | The host may expunge the user at the cost of 80 chakra. A Ninjutsu technique where the ninja focuses all of their chakra into one part of their body just before an attack. The moment that attack connects, the chakra activates the natural regeneration of the body's cellular makeup, repairing the damage done by an attack the moment after it is done. | Chakra- 200 | Effect- Nullify the effects of any one attack | S-Rank | The effect wears off the post after the technique is used. The user attaches several chakra strings from his tenketsu to the patient's. Their chakra circulatory systems completely merge. Both spiritual energy and physical energy is transmitted through the strings as the two bodies become one. Theoretically, this jutsu could be used offensively, but the jutsu requires that the partner stay perfectly still. 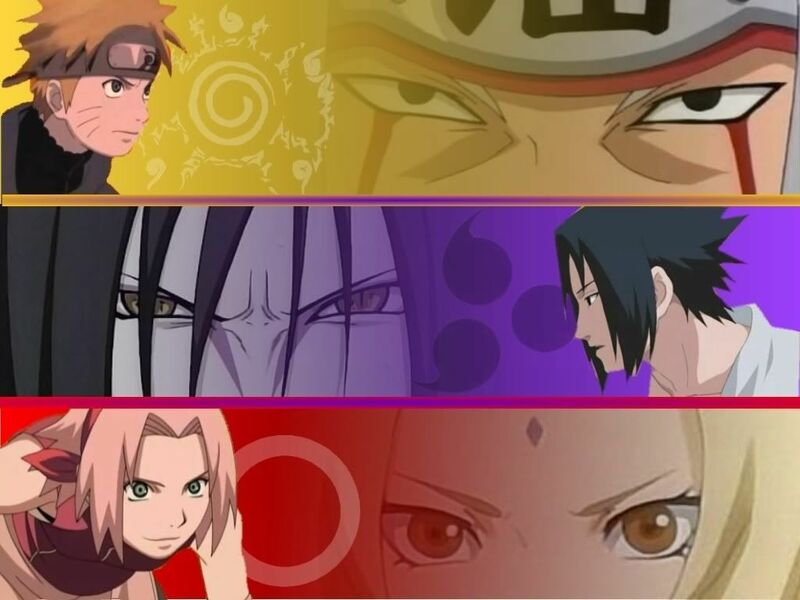 Additionally, the partners can not be more then 30 yards from one another or the jutsu fails. | Chakra- 100 (Every Post) | The user's and the patient's Chakra and HP are merged into one. After the jutsu ends, the damage done to the whole and the chakra missing from the maximum is distributed evenly between the two participants. | S-Rank | If chakra strings are already attached from the user's tenketsu to the partners (such as after using the Life Link or Strength of the Whole techniques) then this jutsu can be activated simply by paying the chakra cost as though you were up keeping it. Another version of the Chidori technique that extends the range of the jutsu. user can fire multiple needle shaped Chidori missiles with deadly accuracy. First shot fire ball into roof this causes thunder clouds to appera An extremely powerful lightning jutsu where user harnesses the element from thunderclouds and directs it at her target. Avoiding this attack in impossible. This powerful fire jutsu launches multiple giant fireballs resembling dragon heads at the enemy. The force of the fireballs are strong enough to knock through solid walls. User can direct attacks directly at the nervous system. In her battle‘s , she can switch the nerve connections of her opponet arms with his legs to render him helpless. A medical ninjutsu that can be used to heal as well as attack the internal organs. precise chakra control allows user to heal severe wounds that regular medical nin cannot. monstrous strength reflects user temperament. user is able to easily punch through stone walls and chuck giant boulders. The source of this ability comes from superior chakra control. By focussing chakra on a single point in her body and releasing it, user can greatly amplify power and strength. Great Ball Rasengan is an improved version of the original Rasengan It is far more powerful and chakra intensive, so it requires userand a Shadow Clone to maintain it.
. Despite being called a shuriken, the attack must be made at point blank range. This jutsu is highly dangerous because it uses microscopic blades of Wind chakra to attack every cell in the body. 'Spiraling Sphere' is a powerful ninjutsu . It requires user to focus chakra into a dense sphere on their palm. When brought into contact with another object, it can inflict tremendous damage. Description: [Requires handseals] The user performs the necessary handseals as black lightning shuriken forms in the users hand. You can make two lightning shurikens (one in both hands) or just one in one hand. If you make two lightning shurikens in both hands you can form them together and make them bigger than a Shadow Windmill. Also if the non-combined shuriken or the combined shuriken misses, the shuriken turns and seperated in a million little shurikens. If the shuriken hits, the opponent looks unharmed from the outside, but from the inside he is heavily damaged. Description: [Requires handseals, this is no battle jutsu] After the user performed the necessary handseals, a white/red room will appear from beneath the ground. I use 'Fireball Jutsu'. Within like 5 posts it's power dubbled. So it's twice as strong as before now. Inside the room, there's just nothing except a little control thing. On this control thing you can set the gravity level, but also the environment. With the environment control you can change the environment inside the room to for example, a forest. Then the inside of the room changes into a forest, but the gravity/environment control doesn't dissapear when this is done. In that way you can learn the environments very well and use them against your opponent.